Black Friday and Cyber Monday might be gone, but Cyber Week deals run all week long and offer some discounts that are as good or even better than they’ve been over the past few days. Case in point: two of the best vacuums Dyson has ever made are still available right now at deep discounts. The brand new $600 Dyson Cyclone V10 Animal Lightweight Cordless Stick Vacuum Cleaner is down to $379.99, which just so happens to be its lowest price ever. 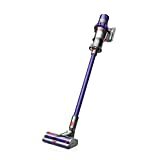 You can also snag a $500 Dyson Ball Animal 2 Upright Vacuum Cleaner for $299 even, and you won’t find a better price anywhere on the vacuum with the strongest suction in the world.